Throughout their lives, cat require a balanced, complete diet to meet the needs of their different life stages. It is vital to attain the correct nutrition from a very young age. 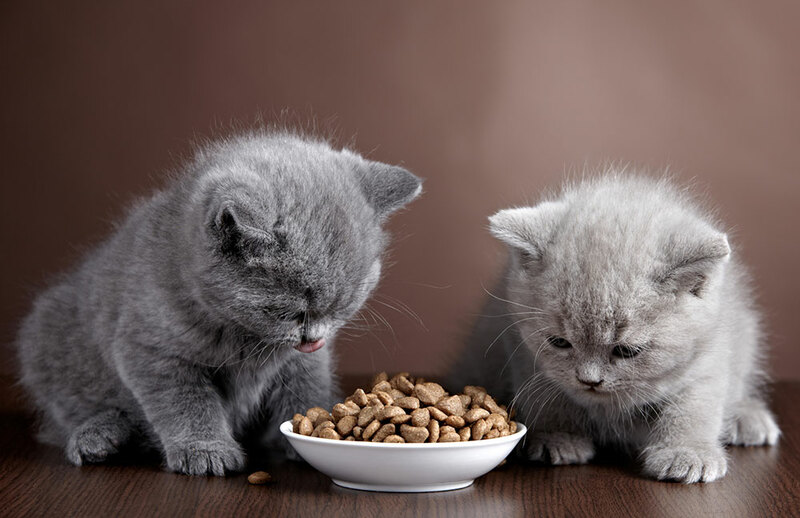 Cats are renowned for being fussy eaters and this can make it hard when trying to choose a suitable diet for them. Establishing a healthy, balanced diet from the beginning is vital to your cat’s wellbeing. As always, you get what you pay for. Generally, cheaper diets are of poor quality, containing lots of ingredients that either are of no benefit to the animal, or cannot be digested. What is more, to make these diets tasty for the animal, they generally contain a high level of fat and salt, which is not beneficial for your pet. It is certainly worth considering a premium diet. These diets will be tailored to an animals needs and only contain highly digestable ingredients. This means that the animal can utilise more of the goodness, meaning they require less of the diet and also, produce less waste! These diets contain only the salt and fat content required by the animal. What is more, whilst these diets generally cost more per bag to buy, they generally work out cheaper to feed per day than seemingly cheaper diets!